Read all the news and details about the DVD and Blu Ray and how to win 2 FREE DVD copies, along with exclusive photos from the movie. 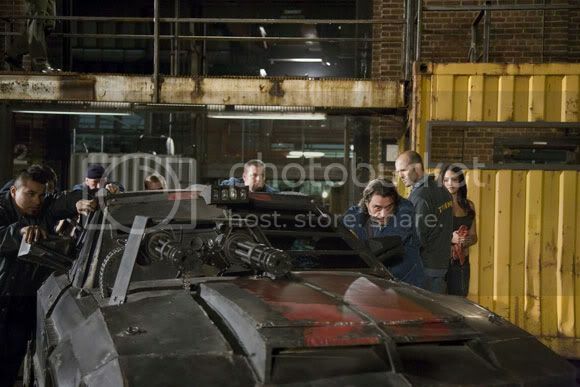 Also be sure to check out Official Death Race Website !!! To enter the Without Your Head contest, simply send your name and address to withoutyourhead@hotmail.com !! We will announce the 2 winners this week !! OWN THE UNRATED VERSION OF THE MOST TWISTED SPECTATOR SPORT ON EARTH! 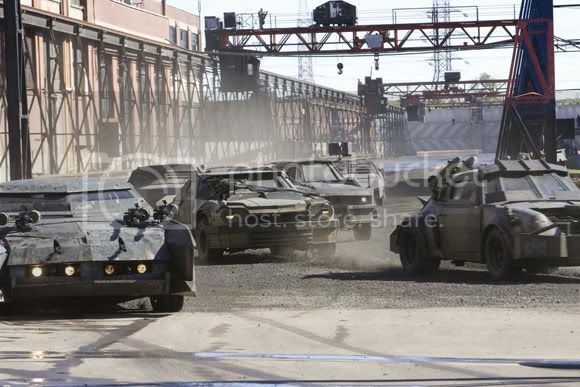 START YOUR ENGINES: MAKING A DEATH RACE: From pre and post-production to the casting of Jason Statham, this bonus documentary takes viewers on set to see how a huge, stunt-driven Hollywood movie was made. BEHIND THE WHEEL: DISSECTING THE STUNTS: In this featurette, the many jaw-dropping stunts in the film are documented including interviews with the cast and crew. FEATURE COMMENTARY WITH DIRECTOR PAUL W.S. ANDERSON and PRODUCER JEREMY BOLT (Unrated Version Only). U CONTROL: Universal’s exclusive signature feature puts viewers one click away from going deeper into the making of the film without ever leaving the movie. PICTURE IN PICTURE: Enjoy a behind-the-scenes look at the making of the film while watching the feature. TECH SPECS: An interactive dossier of the cars, races, and characters. CREATE YOUR OWN RACE: An on-screen interface for selecting multiple angles of race scenes. Connected users will be able to personalize and share their race with buddies. MY MOVIE COMMENTARY: Add your own audio, video, or text commentary to the movie and act as the announcer for the third race in this exciting interactive feature. MY CHAT: Just plug your player into your Internet connection and connect to BD-Live to chat with friends while watching the movie and conduct your very own private screening discussions. MY SCENES SHARING: Share your favorite clips with your buddies through the BD Live Internet discussions. EXCLUSIVE CONTENT: BTS vignettes, avatars, and trailers. SYNOPSIS: Terminal Island: The very near future. The world’s hunger for extreme sports and reality competitions has grown into reality TV bloodlust. 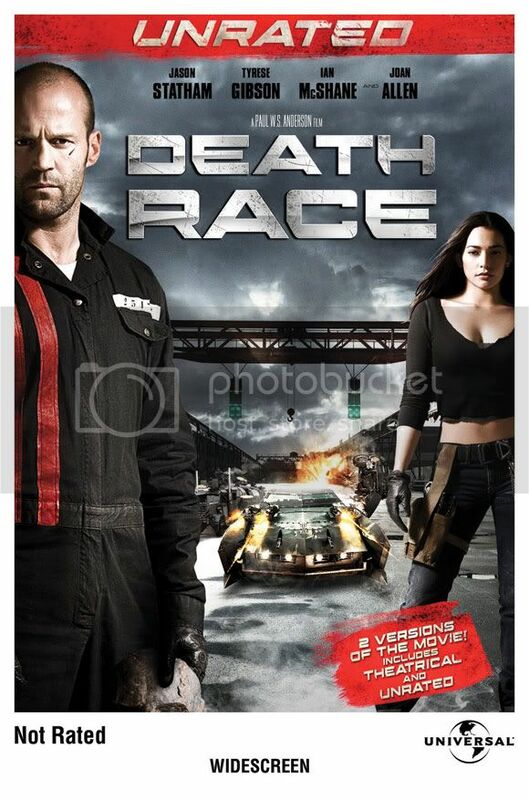 Now, the most extreme racing competition has emerged and its contestants are murderous prisoners. Tricked-out cars, caged thugs and smoking-hot navigators combine to create a juggernaut series with bigger ratings than the Super Bowl. The rules of the Death Race are simple: Win five events, and you’re set free. Lose and you’re road kill splashed across the Internet. 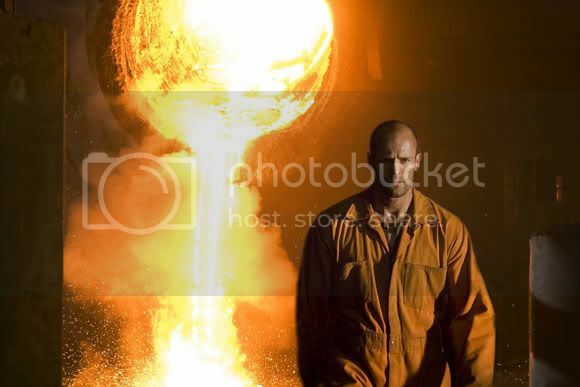 International action star Jason Statham leads the action-thriller’s cast as three-time speedway champion Jensen Ames, an ex-con framed for the murder of his wife. Forced to don the mask of the mythical driver Frankenstein, a Death Race crowd favorite who seems impossible to kill, Ames is given an easy choice by Terminal Island’s ruthless Warden Hennessey (Joan Allen): Suit up and drive or never see his little girl again. His face hidden by a hideous mask, he must win the insane three-day challenge in order to gain freedom. 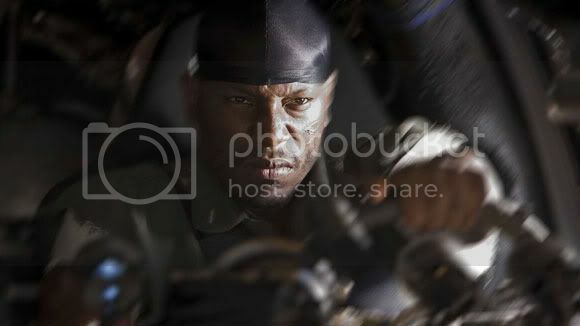 But to claim the prize, Ames must survive a gauntlet of the most vicious criminals—including nemesis Machine Gun Joe (Tyrese Gibson)—in the country’s toughest prison. Trained by his coach (Ian McShane) to drive a monster Mustang V8 Fastback outfitted with 2 mounted mini-guns, flamethrowers and napalm, an innocent man must destroy everything in his path to win the most twisted spectator sport on Earth.